Why choose a DI BLASI tricycle? Because they are the only truly folding ones available on the market, they ensure excellent stability and comfort, and because their large wheels (20”) and gear box make them perfect for long rides. 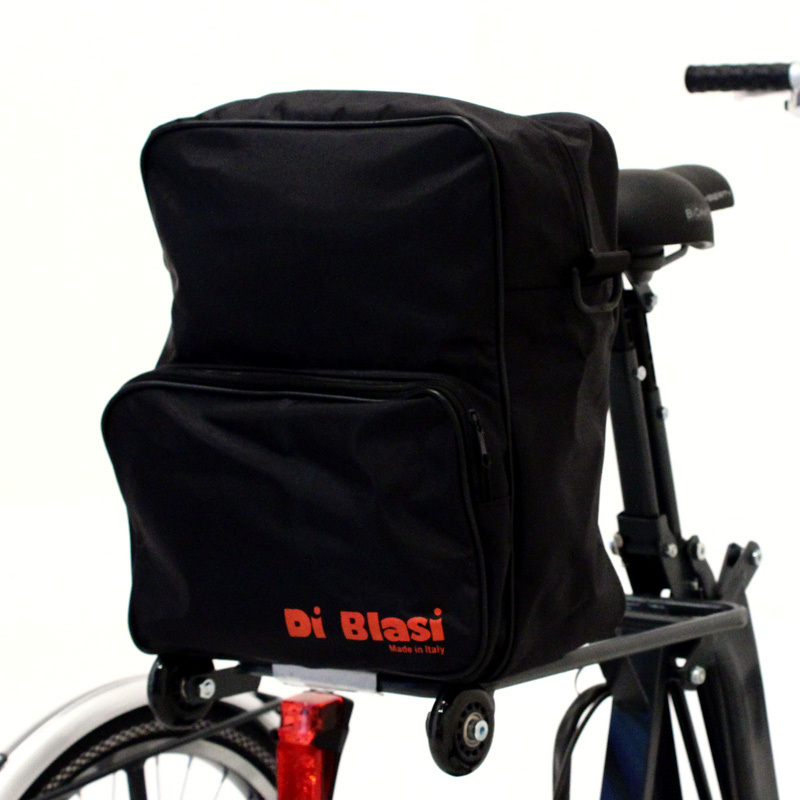 The DI BLASI adult tricycles fold in 3 simple steps. Moving them around when folded is as easy as dragging a trolley. 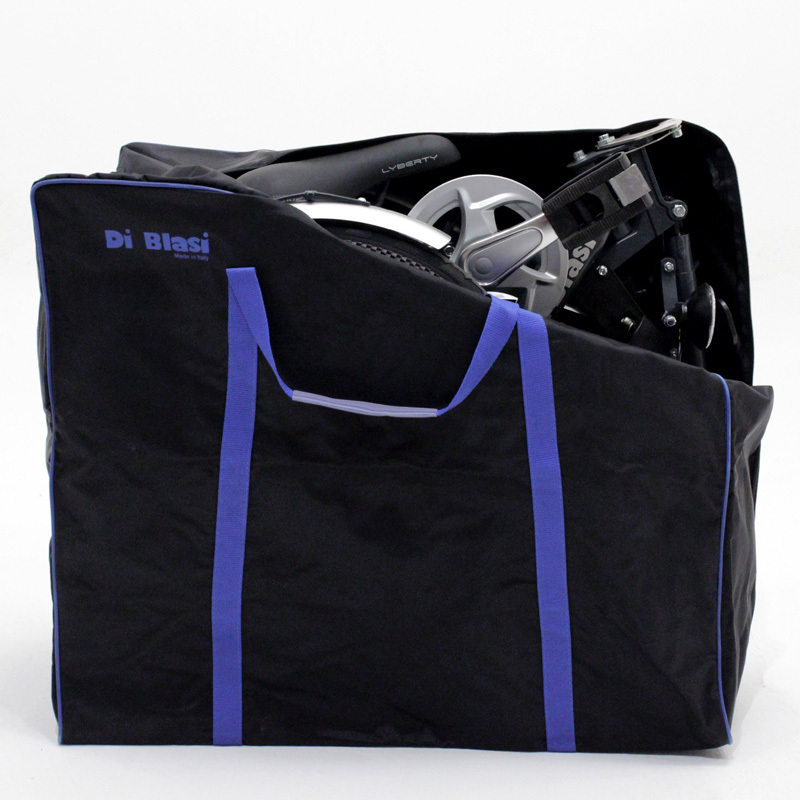 The state-of-the-art technical solutions used make them quick and easy to fold, minimising their bulk and weight while ensuring their sturdiness and safety. The frame is quite low to allow even the elderly or people with slight mobility problems to use them. The DI BLASI trikes mod. R32-R34 are equipped with standard folding pedals, gearbox with a 5-speed dérailleur, rear basket, casters for dragging it once folded, front and rear LED lights. To ensure more comfort for people with slight mobility problems, the folding tricycle can be equipped, upon request, with backrest, folding pedals with foot straps, orthopaedic saddle, fixed pinion, gearbox with a lever on the left-hand side of the handlebar. The trikes are also available in the Mini and Cadet versions, ideal for children and shorter people.